We use ScheduleYourLife.com to schedule your driving lessons. To create an account you will need to provide your learner’s permit number, full name, e-mail address, home address and phone number. Driving lessons start at just $50 for one hour. Pick up may be available for an additional fee. All Students are required to have a valid Learner’s Permit during their driving lessons. Do you have a learners permit? Have you taken the 6 hour online adult drivers ed course yet? Adults are required to take a 6 hour online state-certified adult drives ed course for anyone overt the age of 18. The course is designed to lead you to your learner’s permit or driving test. The course covers all of the information required for the written part of your driving test. We will give the written test at the end of the course along with a certificate if you pass. Yes, you can take your permit test here. Yeah! Next, take this certificate to the Department of Public Safety where you can either get your learner’s permit or take your road test for your driver’s license. Just sign up online and get started in no time! 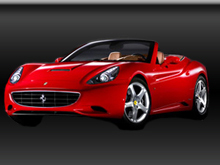 We invite you to take our online 6-hour adult course at TexasAdultDriversEducation.com. If you need additional information call 972-633-2914. Posted on May 31st, 2011 and last modified on September 29th, 2018.